September 11, 2010, Lacy Karpilo and I hiked the Iditarod Trail to Crow Pass in Chugach State Park, Alaska. 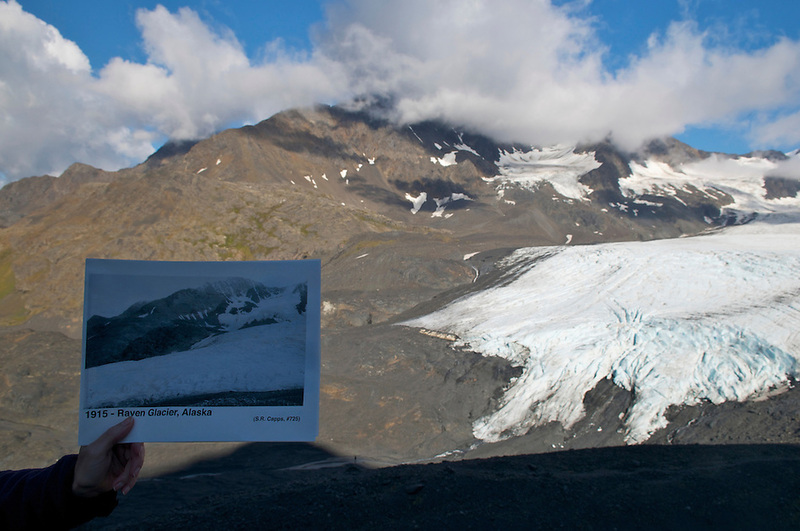 As a part of my on-going repeat photography project, we search and found the original photo locations and repeated several images of Raven Glacier taken in 1915 by U.S. Geological Survey geologist Stephen R. Capps. 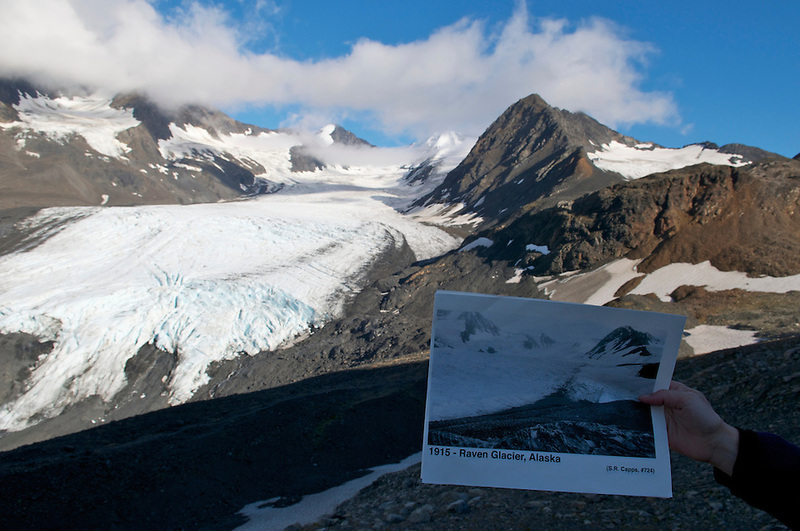 Earlier this year I repeated a 1915 Capps image of Eklutna Glacier. Here’s the link to my post about my repeat photography of Eklutna Glacier in Chugach State Park, Alaska. Here’s a post about Stephen Reid Capps and his 1915 Alaska Geology Fieldwork. Please feel free to leave me a comment or let me know if you have questions. Follow me (@RonKarpilo) on Twitter for updates. December 9, 2010 | Filed under Repeat Photography, Stephen Reid Capps and tagged with Alaska, Chugach National Forest, Chugach State Park, Climate Change, Glaciers, Photography, Raven Glacier, Repeat Photography, Stephen R. Capps, U.S. Geological Survey.